Facebook as well all know is a best social media, which has connected more then 1 billion people across the world. Wow! figure seems very impressive, isn’t it?? It definitely is and these numbers are there because of people like you and me who goes on Facebook before even getting out of the bed on every morning. If you are reading this article then you might have a business and would be interested in knowing who all visited your business digitally or you can say online. Facebook pixel is the right thing for you then..
1. 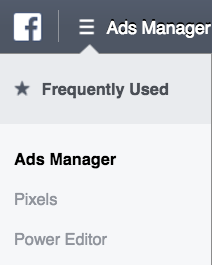 From your Facebook Ads Manager, click the hamburger icon (≡) and choose Pixels. 3. Name your pixel, accept the terms, and click Next. 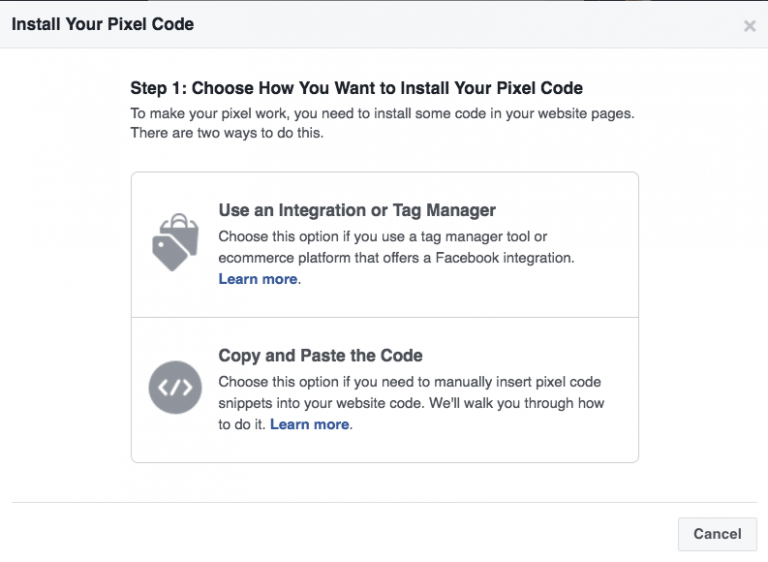 Once Step 1 is completed, you then need to install the code to your website. There are 2 ways to do that: Copy and Paste and other one is using Integration or Tag Manager. We will explain copy paste method here. Do remember you would have to put up the same code on your website, which was generated in Step 1. 1. Click Copy and Paste the Code. 2. 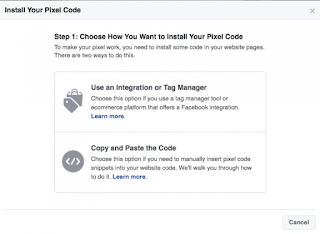 Copy and paste the pixel base code into the header code of your website. When you’re finished, click Next. 3. Now based on the actions you want to track, copy the appropriate event codes. You may refer to this Facebook article here to know about events. 4. Paste the event code in the appropriate location on your webpage based on the action you want to track. It should go just below the </head> tag for a new page. 4. After you’ve installed the Pixel Helper, click the Pixel Helper icon in the address bar. 5. Check the popup to see any pixels found on that page, and whether they’ve been set up successfully. If you see some sorts of error, then you may troubleshoot that from this link. I hope you are taking something from this. Do let us know about your thoughts on this.